MLB.TV is a great service that lets you watch most Major League Baseball games in North America, as long as you're a subscriber, of course. While I personally love it, blackouts can ruin the ability to watch my favorite teams. Fortunately, MLB At Bat Android users have an easy way to bypass blackout restrictions — and with no root required. MLB.TV All Access subscribers can use the MLB At Bat application for free, but blackouts will still occur on some of the games you're most passionate about. To bypass these blackouts, you need to spoof your device's location. Since the MLB At Bat app doesn't use your internet connection to determine your location, a VPN is out of the question, which leaves us having to spoof our GPS location instead. If you simply turn off GPS on your device, the app won't even start up, so spoofing GPS is the way to go. Keep in mind that this won't help with nationally televised games, as they're blacked out for everyone using MLB.TV. Additionally, Facebook laid claim to one game every week (on Wednesdays at 4 p.m. ET), so you won't have access to those either. Everything else, though, is fair game. Assuming you already have MLB At Bat installed and have an appropriate premium subscription, the next thing you need is a GPS-spoofing application. For this guide, I'll be showing off "Fake GPS Location" by Lexa. You can search for it in the Google Play Store or just hit the link below to go straight to it. Tap "Install" to do just that. In order to take advantage of Fake GPS Location's powers, you'll need to enable a setting in your device's "Developer options" menu. This menu is hidden by default, but can easily be unlocked by tapping the build number in the Settings app seven times in succession. For more info, check out the guide linked below. 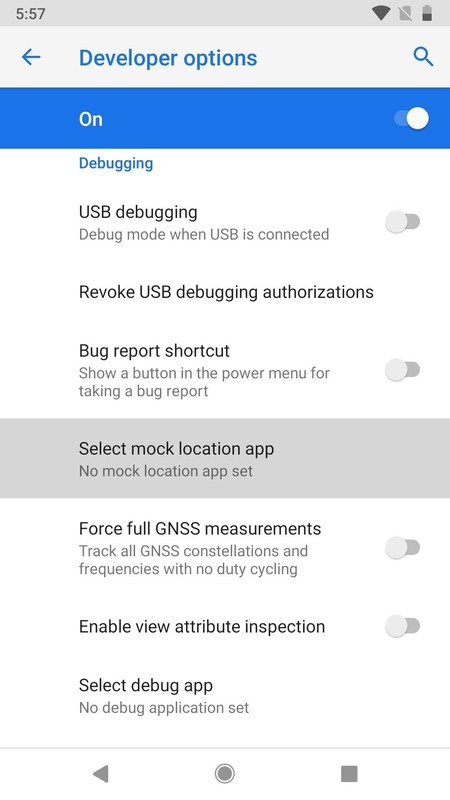 In the "Developer options" menu, which can be found in the main Settings menu (Android P users will have to do a little more digging), just tap "Select mock location app" under the Debugging section. 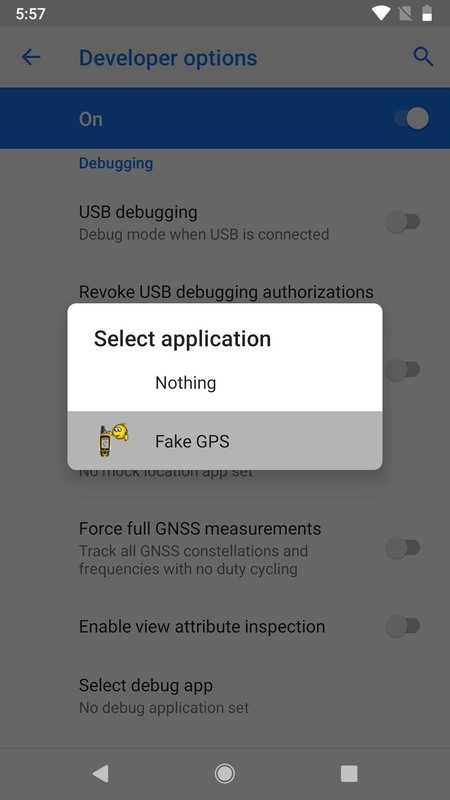 On the menu that pops up, select "Fake GPS." Now, open up the Fake GPS Location app to get started spoofing your location. In the center of the screen will be the marker. Adjust the map so that middle marker is in the location you want to act like you're in. Make sure you choose a location that's not where you are right now, as you want to avoid the blackout. Just choose somewhere around the US that's far away from you. Then, just tap the play button to set it, which will exit the app and start the spoofing. It's that simple. After you fake your location, open up the MLB At Bat app. Log in with your credentials or create an account if you haven't already. From the home "Scoreboard" screen, tap the TV icon in the top-right corner to bring up the list of games currently being played. Tap on a game, choose a feed (home or away), and you're all set. Now you're all set to watch whatever game you want, wherever you want. This method is especially useful for those who want to watch their home team with MLB.TV but usually aren't able to due to local blackouts. I hope everyone enjoys this baseball season as much as I will! Go, Braves! This spoof has not worked for about 3 years now. Error pops up saying turn off mock locations in developer options.